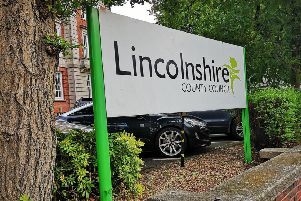 West Lindsey District Council is undertaking a review to check if residents are entitled to a discount of 25 per cent on their council tax bill. Residents claiming a single person’s discount of 25% on their council tax bill are being asked to check if they are still entitled to claim the discount. A 25% discount, worth a minimum of £276 a year, is given to anyone who claims to be living in a property on their own - currently about 12,750 people in the area. This is part of an ongoing review to validate legitimate single person discount claims and identity and remove those being claimed in error or fraudulently. With the support of Lincolnshire County Council, and in partnership with Datatank, WLDC will check to see whether people are genuinely living alone. Information will be cross-referenced with other sources of information about their household such as, but not limited to, the electoral-roll registers and financial sector information. The review process will be carried out between July and October. During this time, anyone who claims for the discount may be contacted via letter and/or telephone as part of the review process. Anyone failing to respond to requests for further information in relation to their claim will have the discount cancelled and may receive a backdated bill. Where it is established, through the review process, that another adult is living at the address, the discount will also be cancelled. Leader of WLDC and Chairman of the Policy and Resources Committee, Coun Jeff Summers said: “Even if you were living alone when you received your bill for the year, if another adult is now living with you in your property, we will need to re-calculate the amount you need to pay. “Residents who are genuinely claiming the discounts have nothing to worry about. “But anyone found to be deliberately misleading us could face a fine of up to £70 in addition to increased payments and face legal action. • You can contact WLDC by emailing council.tax@west-lindsey.gov.uk or calling 01427 676676 and choosing option 2.